First of all many thanks for visiting my homepage. Sadly I still have only 3 wonderful sons, Florian, Michael and Fabian and also a lovely granddaughter, Lena Lucia, here are some pictures of her ! My 4th son Maximilian, aged 22 only suddenly and for all staggering died on May 19th, 2009. At the end of the year 2001 already another big tragedy hit our family when our nephew and cousin Alexander died in an avalanche. He was only 19 years old ! I was born in Laufen/Salzach and grew up in in Trostberg/Alz in the beautiful Chiemgau area. Here are 2 nice Pictures at the same place. I'm very much interested in sports, I love playing Tennis, and in addition to it Squash and Badminton. And in the past I loved to play Handball and Volleyball at SV Pullach and TSV Trostberg. My sons also play Handball at SV Pullach. In the meantime I've also made my first flight with a paraglider. and a ride in a 4 men bobsleigh. For several years I'm a fan of music for wind and wanted to play an instrument and to participate in a brass band. So I started trying to play a trombone and from autumn 2009 on I took lessons in playing trombone. In 2012 I started to play with the young musicians in Eurasburg/Beuerberg, here you may see some pictures. Since autumn 2012 I am practising with the Musikkapelle Beuerberg (Brass Band Beuerberg) and have been in action for the first time in May 2013. In June we played at the Pfarrfest on Peterstag. My first little "Concert" I played at Ehrwald(Austria) in July 2013. 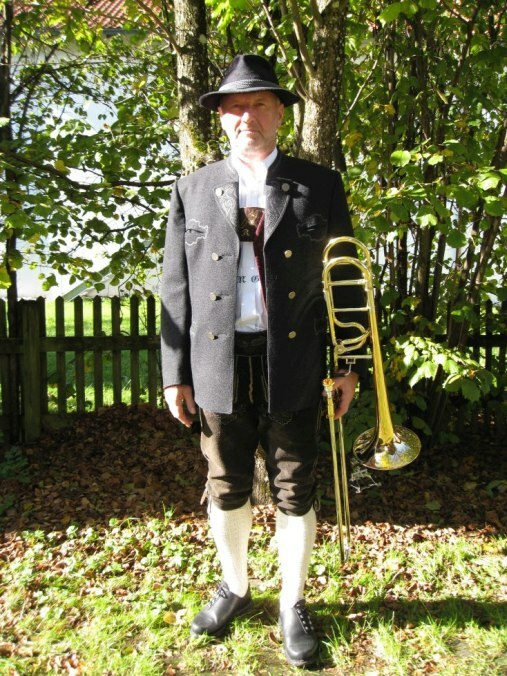 Here is a picture showing me in our "Music Uniform". More highlights followed in 2013 with the participation in the Trachten- und Schützenzug at the Oktoberfest, and our appearance on the Oidn Wiesn at Oktober 3rd. Pictures may be found under the column "Pictures/Schützen" or at the homepage of the Musikkapelle Beuerberg. More pictures under the column "Music" on the start page. 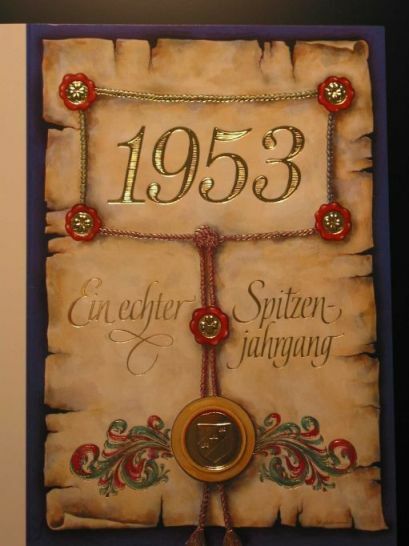 In December 2013 I successfully completed the "Musikerleistungsabzeichen" (certificate of performance) in Bronze together with some other young musicians. Here are some Pictures from the presentation in January 2014. 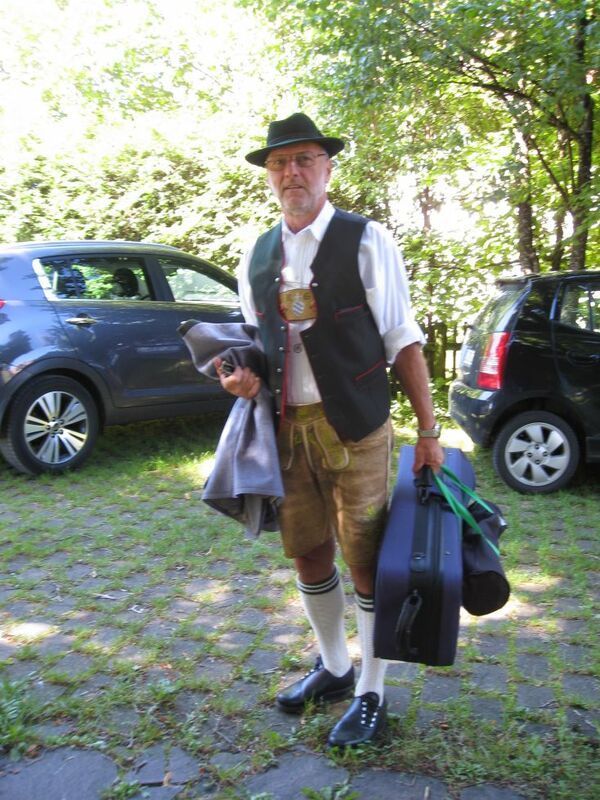 Since January 2015 I also play at Wolfratshausen with the local Stadtkapelle (town band). Since the middle of 2015 I additionally play with the Reservisten Blasmusik Geretsried. 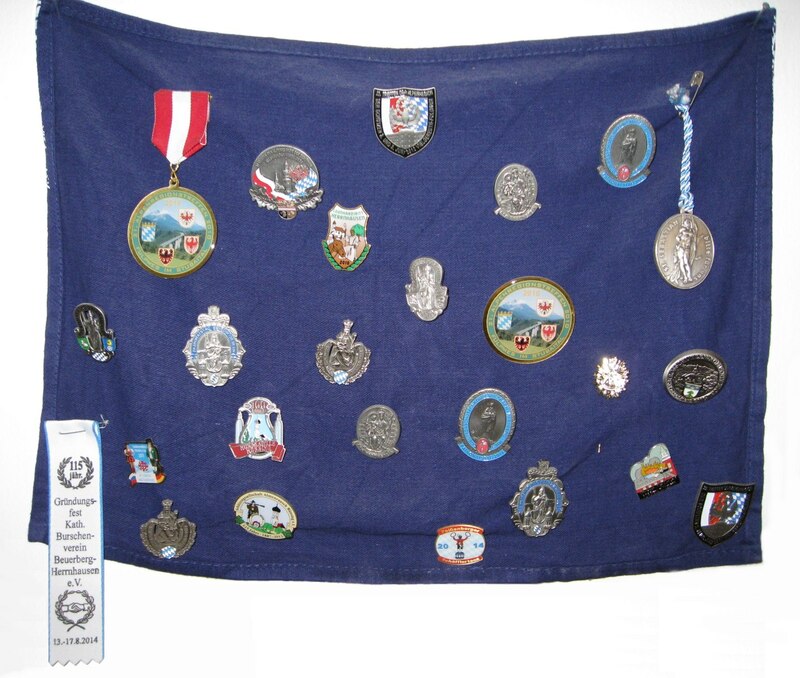 Since 2010 I'm a member of the Gebirgssch黷zen-Kompanie Beuerberg-Herrnhausen. Every year we are visiting several events. Here you may see some celebration ensigns. Besides this I'm very much interested in all kinds of technics, in astronomy and space flight, science fiction, science of the unknown and related themes and of course in computer (here my hardware), internet and ... LINUX ! Simply have a look at the Links, maybe there is something interesting for you too. And in these countries	I've been hanging around occupationally or private. Read here about the quarrel over using the seal of Pullach on my website (only in German). I would be very happy to get some feedback. Perhaps somebody can correct my awful English ;-)) !